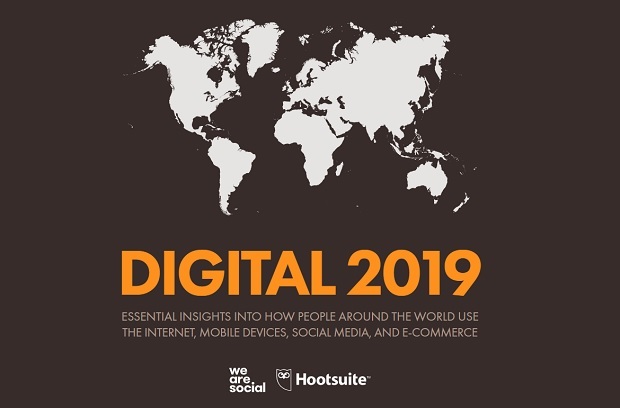 That’s according to the Digital 2019 report, produced by Hootsuite and We Are Social, which also found that quarter-on-quarter growth in Snapchat advertising reach declined by 14%. • TikTok, a Chinese social app similar to the now defunct short video network Vine, is the fourth most downloaded smartphone app globally. The eighth annual report, which examines digital trends and social media use across 230 countries and territories, uncovered that more than one million new people go online every day, and that 45% of the world— nearly 3.5 billion people annually—are logging in to their favorite social platforms. That’s a near 9% increase year-over-year despite growing concerns of fake news, fake followers and data privacy in 2018. Jim Coleman, UK chief executive, We Are Social, said: “It’s clear that the world continues to embrace the internet and social media. Despite concerns around privacy and other negative aspects of online life, a surprising 58% of us globally are apparently unconcerned that our data is being misused; we could see this change over the next 12 months, as awareness spreads from marketing and technology communities to broader internet users.